I’ve never been to London as a tourist. The first time I came here was at 18 years old being sponsored by my mother. Gosh, what experience, back then. London is an amazing city any way you’ll look at it and in 2013 was crowned world’s most visited city as I’ve found in a recent newspaper. 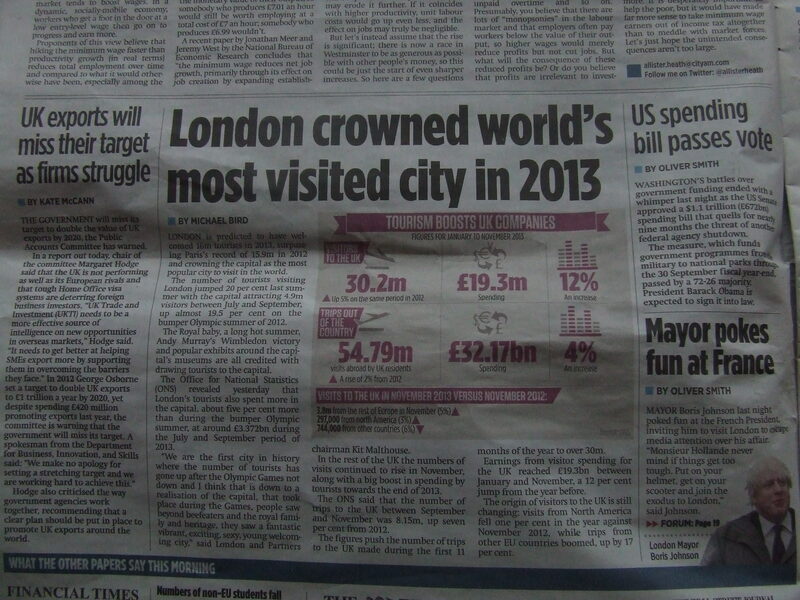 London welcomed around 16 million visitors in 2013, surpassing Paris with 15,9 million visitors in 2012. More details in the attached photo.